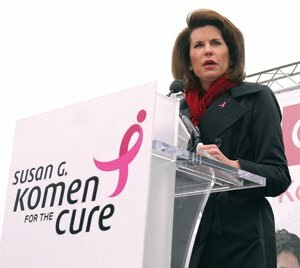 THE PASSIONATE PRO-LIFER TURNED ABOLITIONIST: Shirking responsibility, Komen likes to focus on the cure! Shirking responsibility, Komen likes to focus on the cure! held with Denver's Susan G Komen leadership. We met just prior to their annual Race for the Cure event to which we have brought a truth truck message, "Breast cancer's most avoidable risk factor: Abortion," for the past 8 years. Now Jill Stanek has uncovered a deeper and more disturbing connection between Susan G Komen and Planned Parenthood. Eric Brinker wrote me that only "20 of Komen's 122 US affiliates fund breast health services through local Planned Parenthood clinics." A 2009 study... showed that the risk for women under 40 of contracting a newly identified and virulent form of the disease called triple-negative breast cancer rose by 320% if using hormonal contraceptives for a year or more." It is beyond time for the word to get out that the FOX is GUARDING the HENHOUSE!! Would the tobacco industry have been given the same pass, were it to have given such lame excuses for its complicity in the horrific health woes their product induced? Why are industries who prey on mis-informed women given carte blanch to exploit, and demean their intelligence with such drivel? Wake up America! Wake up women! Come to grips with the reality that you've been duped! Your health and happiness and that of your daughters' are on the line!!!!! Become informed and protect your loved ones from the insidious dangers of OCs and abortion.